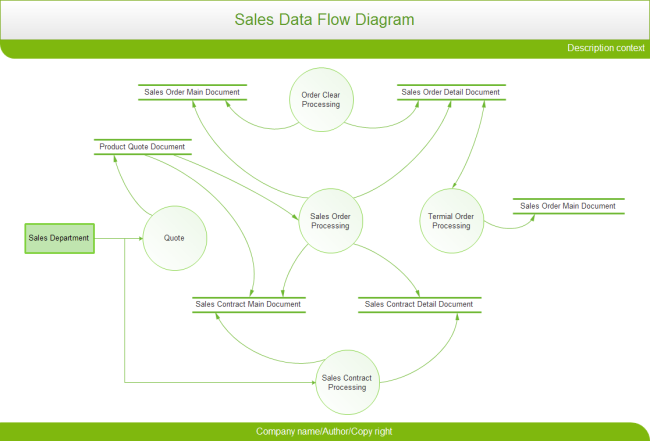 Description: If you want to spend the least time to draw an excellent data flow diagram, try this sales data flow diagram template. When you download and open the file, a symbol library containing a series of smart shapes for data flow will be open as well. Using these shapes, you can finish a nice data flow diagram with little effort.